The Top 5 Best Vaporizers for Weed Of 2018 - Reviews & Ratings! If you’ve read past articles and review guides of mine, then you know that I’m a firm believer in helping people to quit smoking tobacco and marijuana and move to vapor for recreational use cases. 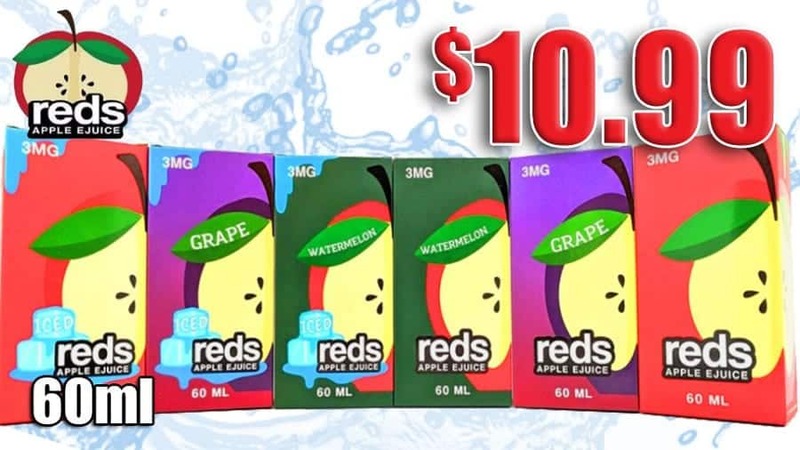 Vapor is considerably healthier for you than any kind of tobacco or marijuana, and it allows you to still have a relaxing experience while keeping your body as healthy as possible. With that said, there is a very legitimate use for marijuana if you’re using it for medical purposes. However, just like with vapor, you still need a really solid tool to smoke medical marijuana. There are plenty of options out there, but trying to find the best vaporizer pen for weed can often be a bit more difficult than you might initially anticipate. That’s where I come in. I’ve been searching for the best marijuana vape out there, and after quite a bit of research and testing, I’ve created a list of the top 5 choices for the best vaporizer for medical cannabis. We’ve got quite a lot to talk about today, so without further ado, let’s get things started. Small and narrow body, extremely easy to use. Unique build, relatively easy to use with lots of settings. Very portable design, extremely simple interface. Understated design, simple use process and lots of extra features. Very lightweight, super easy to use. Starting off this list for the best vaporizer for marijuana is none other than the Pax 2. A lot of people have nicknamed the Pax 2 as the iPhone for vaporizers that smoke weed, and after messing around with the Pax 2, I can fully get behind this statement. As soon as you pick up the Pax 2, you’ll notice just how simplistic and stylish the overall design is. In fact, if it’s your first time using the Pax 2, the oversimplified design might actually throw you off a bit. However, after you do figure out just how the Pax 2 works, using the vape is a piece of cake. To go along with its great looks, the Pax 2 also offers incredibly good flavor, very smooth and large vapor clouds, a great interface that’s dead simple to use, and a lot more. The deep oven and fast heat up times are very much appreciated, and while you will have to put up with frequent cleanings of the vape to keep it working right, it’s well worth its somewhat high price tag if you’ve got the money to cover it. 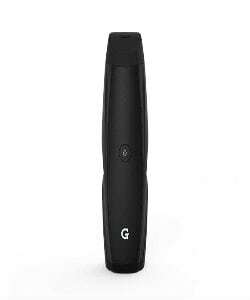 The next contender for the best vaporizer for smoking weed goes by the name of the G Pen Elite, and just like the Pax 2 before it, this is another portable weed vaporizer that has created quite a name for itself in the vaping community. One of the most notable aspects about the G Pen Elite definitely has to do with its large feature set, with one of my personal favorite additions being that of the gigantic .75-gram ceramic heating chamber. This is seriously one of the best of its kind that you’ll find on this list, and the giant LED display and battery indicator is a very nice touch to the attractive and very unique design language that’s present here. Although the original G Pen was designed to be used with just oil and wax, the Elite’s adoption of dry herbs has made it one of the best solutions if you’re in the market for a vape that you can use to smoke medical weed. The ceramic chamber that’s present here can hold about .5-grams of cannabis, and the flavor that this thing kicks out is some of the best that money can buy. The only real complaint that I have for the G Pen Elite has to do with the fact that the tip tends to heat up quite a bit when smoking at higher temperatures, but that issue is easily evened out when you consider just how evenly this thing is able to vape dry herbs. 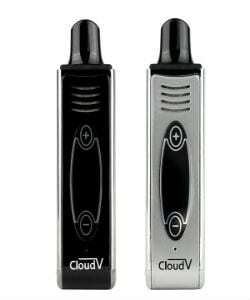 When people as me, “What is the best vaporizer for weed?”, one vape that I often suggest is the Cloud V Diamond. The Cloud V Diamond may not have the largest chamber around, but the mouthpiece that’s built out of solid plastic means that the V Diamond is one of the easiest units on here to clean - something that is often overlooked when conducting these reviews. Along with the easy cleaning process, the Cloud V Diamond also offers a very portable and compact design, a great heat up prices, and really great flavor. You will need to keep an eye out for the somewhat sensitive temperature control and rather warm mouthpiece when vaping at higher temps, but aside from those two complaints, this is a truly excellent product. 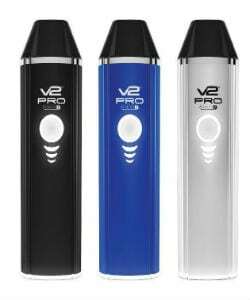 The V2 Pro Series 7 is another great option if you’re looking for the best vape for weed, and along with being able to smoke dry herbs such as weed, the Series 7 can also be used for vaping e-liquid and wax-based concentrates. This gives the V2 Pro Series 7 a lot of added functionality that you won’t find with these other options, and if that’s something that’s important to you, this is going to be an easy winner. Along with the added functionality, the Series 7 also offers really good flavor, pass-thru charging technology, great vapor production, and a really solid price considering all of the tech and features that it’s bringing to the table. 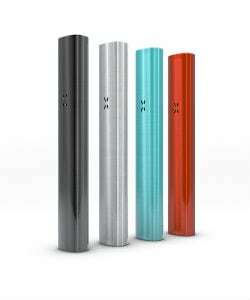 Last but certainly not least, let’s talk about the Mig Vapor Matrix. 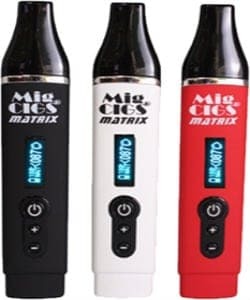 The Mig Vapor Matrix is a very portable unit that’s able t hold up to .8-grams of marijuana, making it the vape that’s able t hold the most cannabis out of any of the other products on this list. Along with the large chamber, the Matrix can also create for some really nice flavors, features sold battery life with the ability to charge it via microUSB, and phenomenal vapor. The warmish mouthpiece and automatic shutoff after 5-minutes of use is a pain, but other than that, this is a really solid choice. If you’re hunting for the best vaporizer for weed, hopefully this list makes that search a bit easier on you. There are tons of options and vapes to choose from, but no matter which unit you decide to choose from this list, you can rest easy knowing that you’re getting one of the best vapes out there for smoking medical cannabis. Happy shopping! How does one access prices? Red button is a loop. ?? ?